LETHBRIDGE, Alta. — The grandmother of a two-year-old girl killed by triple murderer Derek Saretzky says she can hear screams when she imagines what the child's final moments must have been like. Terry-Lynn Dunbar delivered an emotional statement at Saretzky's sentencing hearing describing the loss of her granddaughter Hailey Dunbar-Blanchette. "I can hear her screaming in my mind begging for her mom and her dad ... The horror she must have endured haunts my every moment," she told court in Lethbridge, Alta., Thursday. "Don't allow this man the opportunity to do this to another family again." The horror she must have endured haunts my every moment. Dunbar says the family has been through hell and she will never get to hear Hailey say "I love you." It took a jury just three hours Wednesday to convict Saretzky of three counts of first-degree murder in the 2015 deaths of the little girl, her father Terry Blanchette and Hanne Meketech. He was also convicted of causing indignity to a human body. A conviction of first-degree murder comes with an automatic life sentence with no chance of parole for 25 years. The court can decide to make the periods of parole ineligibility consecutive, which in this case would be 75 years. Hailey's mother, Cheyenne Dunbar, says Saretzky stole her greatest joy. "My life as I knew it has ended," Dunbar said in a statement read by the Crown. "The anxiety and depression has become a daily struggle ... she was my world, my reason for living." Amanda Blanchette, Hailey's aunt and sister of Terry Blanchette, told court their lives became a horror story the day the father and daughter were killed. 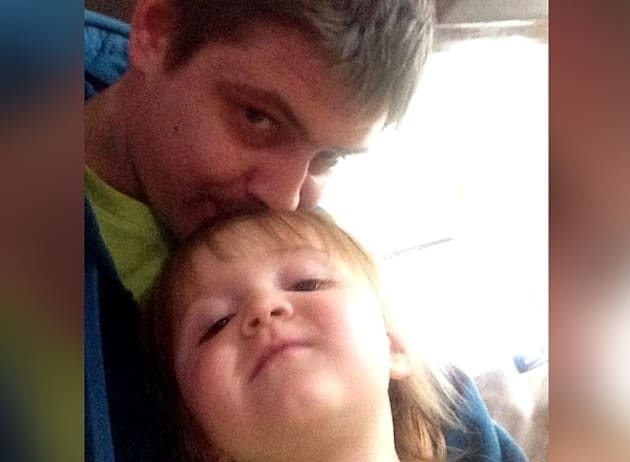 Terry Blanchette is pictured with his his two-year-old daughter Hailey Dunbar-Blanchette. "He stole not just one but two pieces of our souls," she said in a statement read by the Crown. A friend of Meketech called Saretzky an animal and said she struggles with anger and hate. "I cared about Hanne Meketech. Hanne had a family," Carrie Morency said as people in the courtroom wept. "Mr. Saretzky, you will forever live in this hell because you created it and nothing will change it." 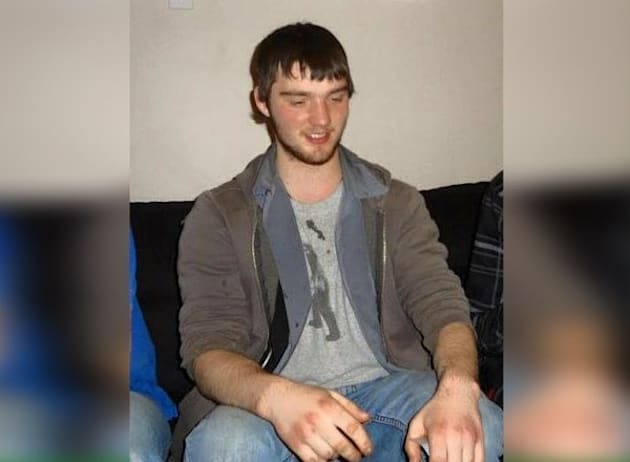 Saretzky's trial heard videotaped confessions from Saretzky who told police he killed Meketech — a friend of his grandparents — on the spur of the moment and because he didn't think anybody cared about her. Five days later, Blanchette was beaten before his throat was cut in the home where he lived with Hailey. The little girl was plucked from her crib and spirited away from the bloody crime scene. Blanchette's body was found by his father and authorities launched a massive search for Hailey, but it was called off after Saretzky confessed. 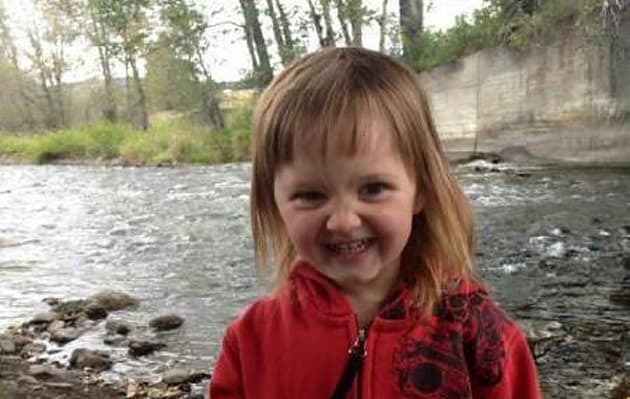 Saretzky told police he took the toddler from the house to a campsite, which was partially owned by his family. Once there, he choked her to death with a shoelace. He said "a little prayer" over the girl before he drank her blood, ate part of her heart and burned her body in a firepit. Six months later, he confessed to the murder of Meketech.